The original Jatinga is a garden village located on a spur of the Haflong ridge, part of the Borail range, where nature has been bountiful - very much like at Jatinga Country Lodge in White River! 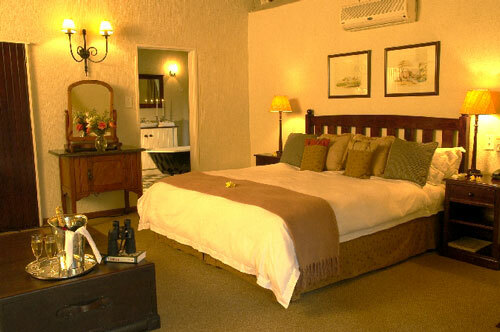 With a long and proud tradition of excellence in all areas - from the tantalising cuisine to the luxurious rooms and suites - this 5-star Country Lodge offers guests the very best of Mpumalanga accommodation and dining. Located on the outskirts of White River, Jatinga Country Lodge - only 38 km from the Kruger National Park - is about to embark on the building of six new rooms which will take the total number of rooms and suites from 14 up to 20. 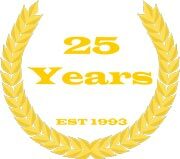 "We refurbished the lodge completely when we bought it in 2001 but we were obviously restricted in having to work within the boundaries of the existing structures. The building of the six new rooms has given us far more freedom and the opportunity to build on a section of the property that has never been developed before", say owners, John and Lyn Davis. The result is that guests staying in the new rooms will have a totally different view of the gardens including the recently established citrus orchard. Four of the new rooms will be known as the "Orchard Rooms" as they will overlook the citrus orchard, while the remaining two rooms will be referred to as the "Forest Rooms" as they will look into the pine forest. In addition, one of the new rooms will also be fully equipped for disabled guests, a facility not previously available at the lodge. 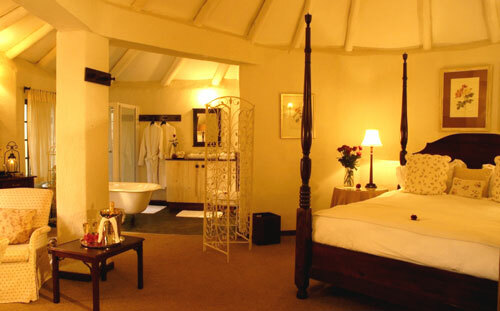 The lodge's existing rooms and suites are decorated in Victorian, Colonial, Provencal, French Country, African Colonial and English Country styles. Each room offers a unique experience that ensures guests will take away a special Jatinga memory. From the outdoor showers set in secluded gardens, that surprise and delight guests when checking into one of the Victorian rooms or English Country suites, to one of the incredible solid concrete baths that beg to be filled with bubbles, found in the Provencal rooms. 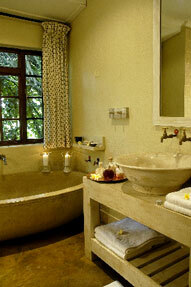 Each of the rooms at Jatinga is an experience in itself. 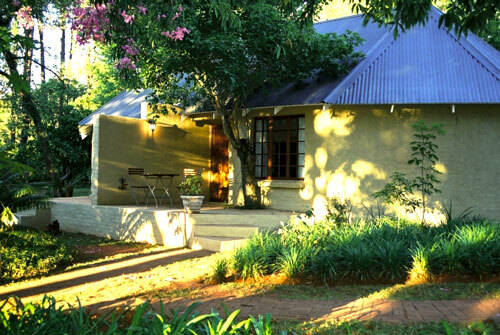 The original 1920's homestead, that is the lodge's main building, houses the lounge area with two open log fireplaces with a covered, colonial-style veranda running along the length of the lounge. 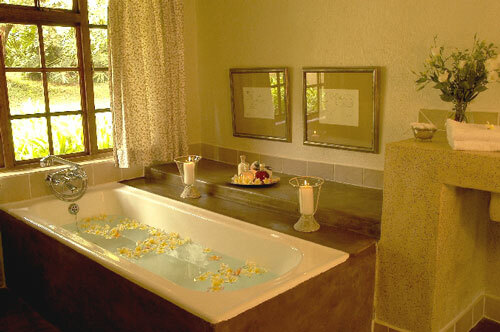 Here guests can sit back, relax and take in the beauty and tranquillity of the magnificent gardens. The veranda has become the place to enjoy coffee and port after dinner while the frogs and crickets compete in their nightly serenade. The lodge's restaurant - open seven days a week - has an extensive menu that is certain to satisfy even the most discerning diner. 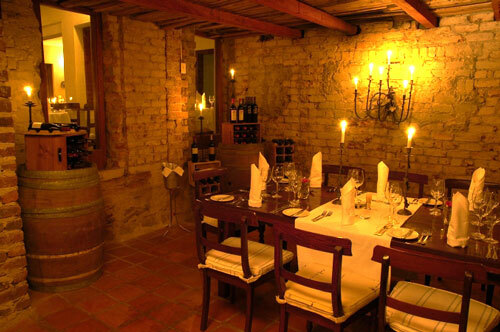 The intimate wine cellar can accommodate small groups of up to 12 diners and is home to an impressive range of hand-picked estate wines. The cosy "Lord Milner" pub with its private courtyard is the perfect place for guests to enjoy a cocktail or sherry before dinner. The lush, sub-tropical gardens at Jatinga are carefully nurtured and beckon guests to wander along the emerald green lawns between masses of flowering azaleas and fragrantly scented lavender bushes. All garden paths at Jatinga eventually lead down to the river (the White River runs through the bottom of the estate) where a magnificent, elevated wooden deck awaits guests. Carefully built around two large, shady indigenous trees, the deck is the perfect place to enjoy sundowners and soak up the tranquil surroundings. Just around the corner from the deck is the lodge's on-site chapel - a romantic, open-sided chapel perfect for weddings. 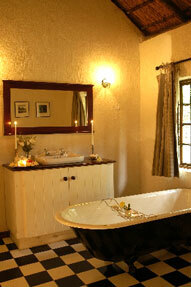 Jatinga Country Lodge is renowned for its charm, tranquillity and fine dining. Now luxurious attention to detail can be added to the list, a fact confirmed by the lodge retaining it's 5-star grading as assessed by the Tourism Grading Council of South Africa. For golf enthusiasts, the area boasts several excellent golf courses, the closest being White River Country Club. For those who enjoy gentler pursuits, the manicured bowling green and olde worldly croquet lawn at the lodge are there for guests' enjoyment. 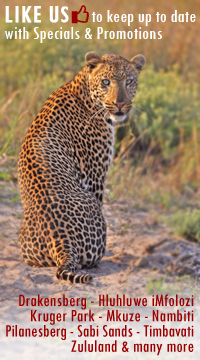 Access to the Kruger National Park is 38 km away via Numbi Gate and the Lowveld's many other historical and scenic attractions are all within easy day trips from the hotel. Historical Pilgrim's Rest, the Blyde River Canyon, Mac Mac Falls, Bourke's Luck Potholes, God's Window and more can all be explored with a scrumptious Jatinga picnic basket to be enjoyed along the way. Maputo is only a 21 hour drive from the lodge along well maintained toll roads and a day trip to the capital of Mozambique gives guests the opportunity to experience a tour of the city and an excellent seafood lunch! With the recent introduction of daily scheduled flights to Vilanculous by Pelican Air, guests can now also plan an exciting "bush-to-beach" holiday and enjoy the warm waters and superb hospitality of the islands of Mozambique. Live theatre is only a short distance away at The Barnyard Theatre at Casterbridge Farm, 2 km from the centre of White River. During the day guests can wander through Casterbridge Farm and shop for just about anything from diamonds to ceramics! Only a 31 hour drive from Johannesburg along well maintained toll roads, the drive to Jatinga is an easy and comfortable one. Daily scheduled flights operated by SA Airlink, Nationwide Airlines and Kulula.com Airlines fly into Kruger Mpumalanga International Airport which is only 41 km from the lodge. 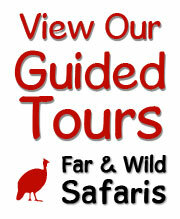 The lodge offers a complimentary shuttle service for guests flying into the Kruger Mpumalanga International Airport.